You can rest assured that Aspire’s mediators will find you the best possible solution, working to ensure that both parties are in agreement and satisfied with the outcome. Contact us today! If you’re about to go through a divorce or the dissolution of a civil partnership, you will need to consider the choices available to you. It’s obviously better for the future if you can negotiate an amicable settlement, particularly if there are children involved. The most stress-free option in any dispute is mediation, which brings together all parties, giving them the opportunity to discuss matters within a controlled environment. This approach can be helpful in many situations, giving those with grievances a chance to be heard and to communicate in the presence of a trained and qualified mediator. In the case of relationship breakdowns it’s especially helpful if everyone involved can sit down together without the use of lawyers. Aspire’s professional mediators handle meetings with sensitivity and the whole process is confidential. One of the main causes of contention and one of the most worrying challenges during separation is financial. Dividing assets can be complicated, leading to bitter disputes. Without expert help, it’s not surprising that this important matter can seem impossible to resolve, and Aspire can help you to face and deal with it by offering advice and practical help. One of the most satisfactory solutions is a pension sharing order (PSO), which means that both sides have an input into the arrangement. With this option, the Court issues a PSO that records the proportion of the pension scheme to which the receiver is entitled. This is shown as a percentage of the transfer value of the scheme or schemes that will be shared, with calculations being executed on the day before the order takes effect. Aspire works with specialist advisors so that you can be confident of a satisfactory outcome. Under this arrangement, the amount awarded is known as a pension credit. It can be paid into a scheme that’s already in existence, or into a new one if it has the facility to accept it. 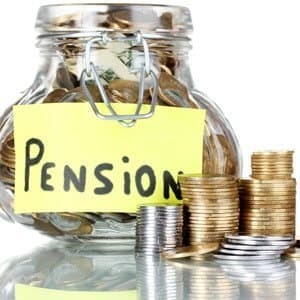 It’s also possible that the pension scheme will require you or your ex-partner to transfer out. In a few cases you may be able to join the original scheme, but this is not normal practice, and might incur charges for calculation and administration. 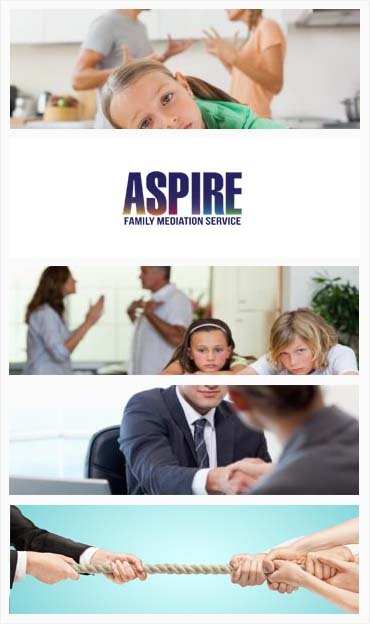 Aspire mediators can discuss the best option with you. If a pension credit does remain in the original scheme, it will carry on benefiting from any increases that the arrangement gives to deferred pensions, although you may be charged running costs. Pension sharing can also be used in existing schemes where benefits are being taken already, but this is more complicated and may mean higher fees. You can rest assured that Aspire’s mediators will find you the best possible solution, working to ensure that both parties are in agreement and satisfied with the outcome.